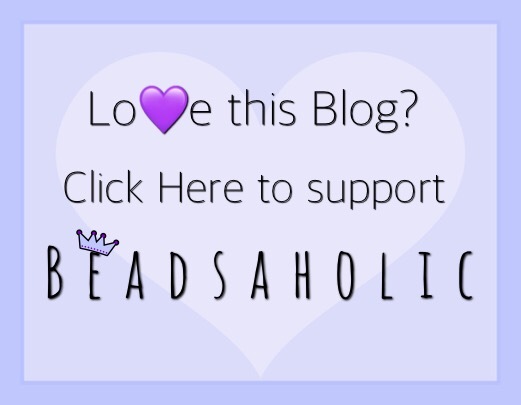 Today Beadsaholic brings news of a new release and a review of Happy Turtle by Aurora! Today is the release day of Aurora’s Happy Turtle and I received this guy just in time to give you guys a photo-packed review. As I previously mentioned in the preview, Aurora Charm website, and participating retailers will be donating €5 for every turtle sold to real global activities dedicated to cleaning trash from our oceans and coast lines world-wide. This is a very important cause to Aurora and I commend them on taking action to help. On social media I follow a several rescues here in the US, that rescue sea turtles that have become tangled up in all sorts of trash. It saddens me to see these beautiful creatures go through such things. It’s important that as humans we take initiative in helping our planet no matter how small or large the effort. Isn’t this baby just too cute? Looks like he is making his journey out of his hatching hole to the sea. All photographs are property of Beadsaholic, please give credit if shared separate from this article. 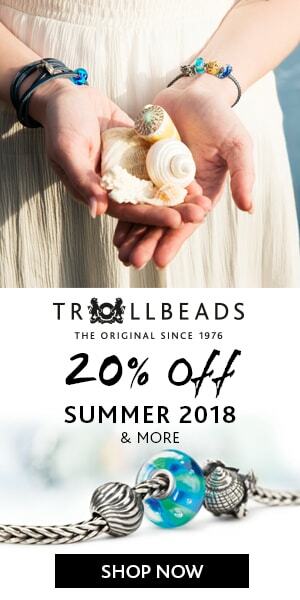 Here I have placed Happy Turtle with Trollbeads Starfish uniques, a Trollbeads Anemone jumbo unique, the LE Aurora Friends 4 Life (It’s an exclusive to Beads Fanatic and review is coming this week) and of course, Redbalifrog Bubble Stoppers. Here you see Aurora Happy Turtle, Friends 4 Life and Sailor’s Dream. All complement each other perfectly. I am always using Trollbeads Green Bubble uniques with my sea beads and as you can see Aurora goes perfectly with both Trollbeads and Ohm Beads! Below you will find Aurora Happy Turtle, Aurora Blue Ocean Wave, Aurora Sailor’s Dream, Aurora Friends 4 life, Trollbeads Hiding Conch, Trollbeads Starfish Uniques, Trollbeads Green Bubble Uniques, Ohm Beads Bucket List, Ohm Beads Striped Sailfish and I finished the bracelet off with a Trollbeads Crab Lock. Turtles are one of the oldest creatures on earth and symbolize good luck, wisdom, inner peace, endurance and long life. They are held as important symbols in many different cultures. Aurora Happy Turtle bucket-list is to live in a clean sea and he is having fun filling Ohm Beads Bucket List with beautiful white sand. As you can see, this is one stunning bead. I have a collection of turtles and I must say this one tops my list of favorites. Over all, this is the perfect addition to any summer bracelet. A perfect reminder of our beautiful world and some good karma along the way. I am sure many of you will love this cute little guy as much as I do! Retailers participating in the €5 donation to charity are Aurora Charms Website, Pianeta Beads, and Perlen. If you would like to shop for this bead today, it is available at all Aurora retailers listed below. All offer vat free shopping for those of us outside of Europe. As always, I truly love hearing from you all and value your input. I’d love to know what your thoughts are on Aurora Happy Turtle? Aurora efforts in cleaning up the ocean and coast lines? What are some things that you do or think that should be done to help our environment? Leave me a comment below! I ordered it together with the friends 4 life charm. I can’t wait to put it on my bracelet. Which other turtle charms do you have? Wow, that is fantastic and you will never forget that encounter. They are truly gentle creatures. I grew up on the coast lines of Florida and the beach and ocean are very dear to my heart. Living there I loved sea turtles, dolphins and manatees.. all three are such gentle animals. My mother lived on the St Johns river and it was a normal occurrence when swimming in the river that manatees would swim up to you. Great experience and memories. I’m so glad you were able to experience the magic and the gentleness of such a magnificent animal. Wear your Happy Turtle in good luck and wonderful memories! It is a special gift to have the chance to experience all this wonderful creatures. I will never forget it and the charm will complete my bracelet and fill it with an important memory. Thank you for letting me discover this amazing jewelry brand! The turtle is beautiful and would be so appropriate for me since I live where we have an active search and rescue organization for strandings. My friend actually found and rescued one!!! Nancy, that is great! We need more active people in this world taking care of our wildlife, I commend your friend on rescuing the sea turtle, that is fantastic and in my eyes heroic! Growing up in Florida we had several rescues there. We have one here on the coast of Mississippi. Yes, I’d say this bead would be perfect for you and you will be helping in the cause that is so dear to many of us! Enjoy your Happy Turtle!